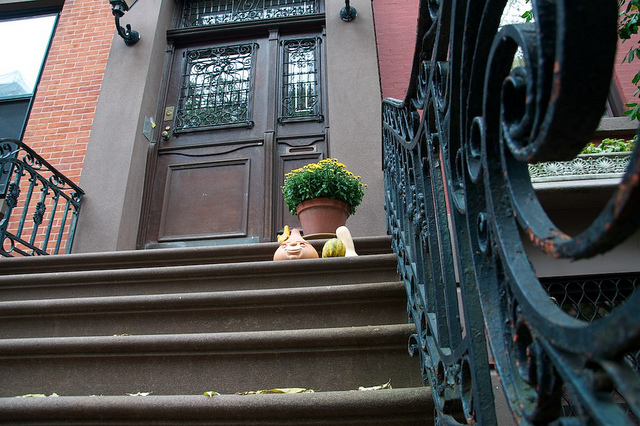 No city does Halloween like New York and its boroughs. 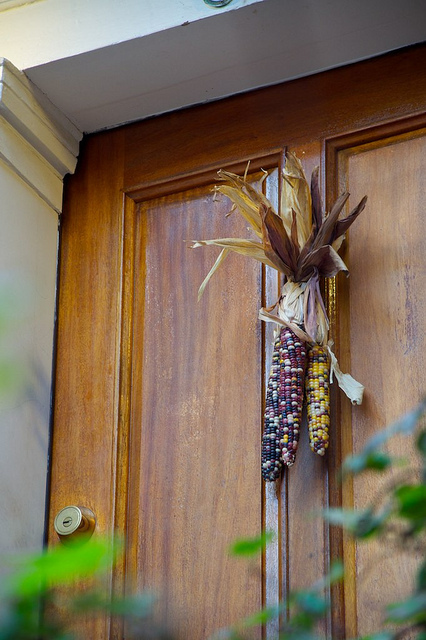 Last year, in between our frantic apartment touring (around this time, actually), we paused and enjoyed the stunning Halloween decorations, gourds, and harvest scenes that adorned nearly every brownstone, house, and apartment we walked by. This year, we're living among these fantastic decorations, and even I am getting in the Halloween spirit. 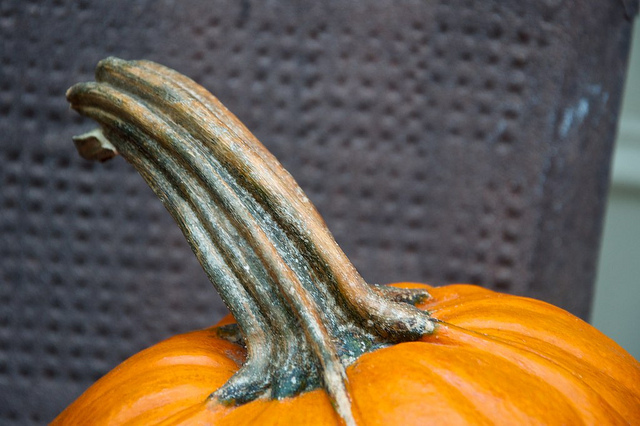 In full disclosure, Halloween does not rank highly on my list of favorite holidays. Actually, it's very near the bottom. Perhaps this will change after I have kids (you know, in a decade), but for now as an adult, instead of dressing up, I usually opt for staying in with a few pumpkin beers and a moderately scary movie. Maybe it's because I don't feel like dressing up in what Justin so aptly calls a slutty ____ costume (insert anything in blank: cheerleader, nurse, girl scout, doctor, firefighter...). Maybe it's because I want to skip the Snickers bars and go straight to the 80% dark chocolate. 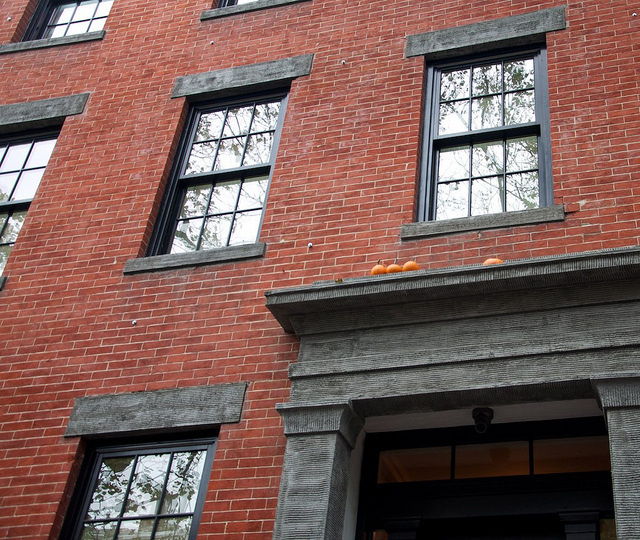 A Halloween tradition I can easily get behind is how spirited New Yorkers are with the holiday and the subsequent decorations. 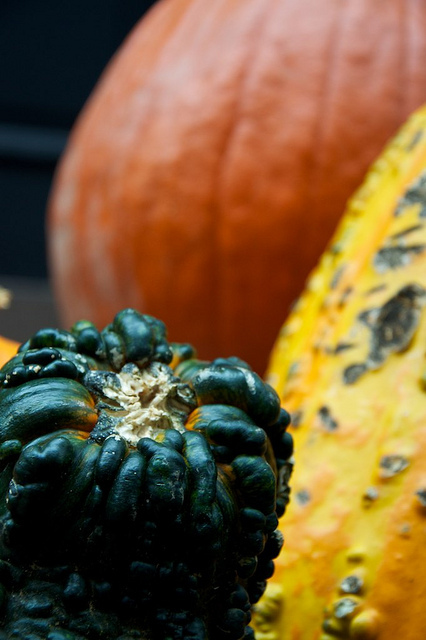 New Yorkers are the kind of people who actually go to the market or grocery store and buy that one insanely large pumpkin that must weigh 100 pounds. New Yorkers get hay rolls/barrels and create festive displays on top of them. 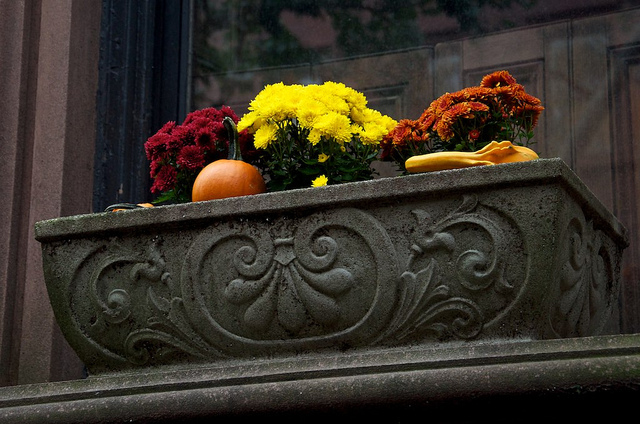 New Yorkers decorate their air conditioning units with Fall leaves. 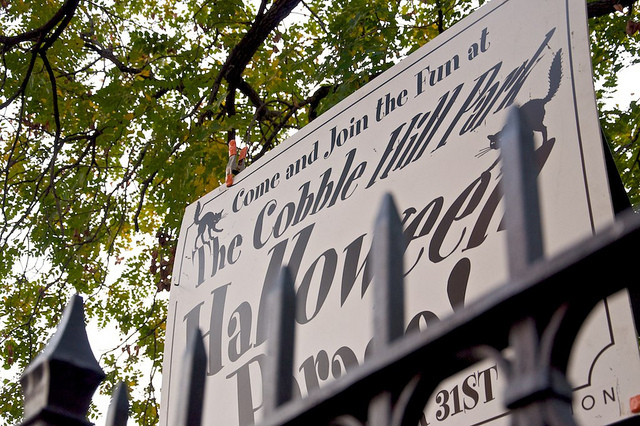 Also, each year, various neighborhoods host Halloween parades for both the kids and the adults. 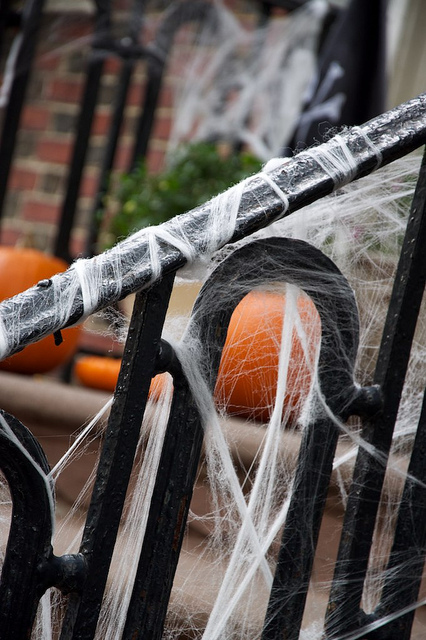 So this year, though I'll probably do what I always do each Halloween night, I plan on wandering Brooklyn's streets during the day, enjoying the festive decorations. 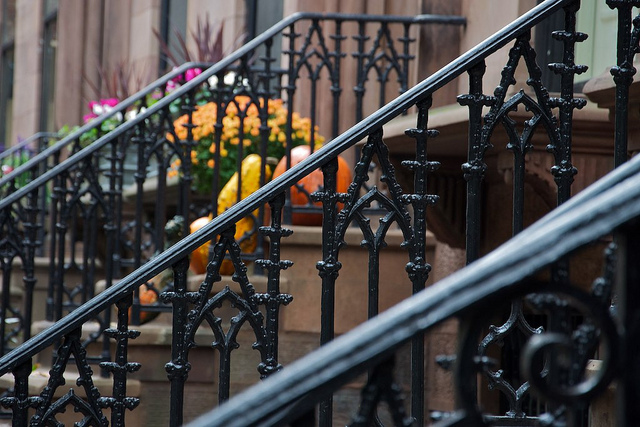 I frequently walk between Brooklyn's Park Slope and Carroll Gardens neighborhoods, either via Union Street or Carroll Street. I rented the Nikon 85mm 1.4 G for five days and have had an enormous amount of fun photographing with this incredible lens.